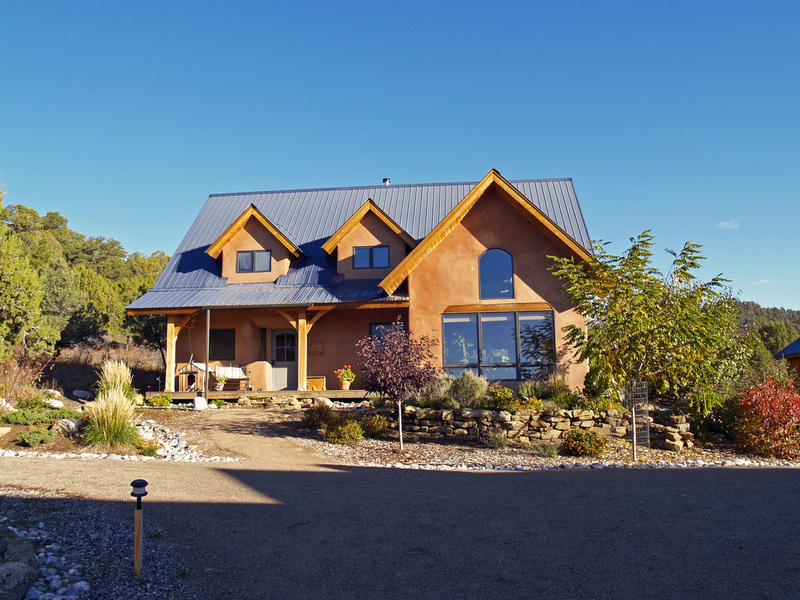 The Southwest meets Old Europe in this sunny straw-clay timber frame home on a premium private lot at Heartwood. This home is super energy efficient and non-toxic, is appointed with artisan natural plaster, in floor heat, jetted tub, adobe, wood and wool flooring, granite, stainless appliances, and a butcher block island. The lot is beautifully landscaped with native rock, flagstone, large perennial beds, mature trees, surrounded by open ponderosa, pinion and juniper forest and offers much privacy. There are 4 outdoor decks/patios to enjoy this space as well.